It’s the first time since March 2014 that the three African countries at the heart of the Ebola epidemic have not reported a new case of the outbreak. The Ebola Virus Epidemic in 2014 and 2015 killed somewhere between 50% and 70% of all the people it infected, being one of the most dangerous outbreaks in modern history. It was the first Ebola outbreak to reach epidemic proportions, especially aided by a dysfunctional healthcare system, a mistrust of government officials after years of armed conflict, and the delay in responding to the outbreak for several months. 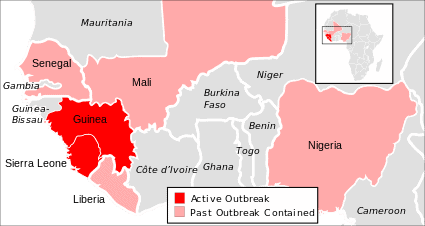 At the heart of this outbreak, there were three countries in West Africa: Liberia, Sierra Leone and Guinea. The first two countries alone had over 80% of all reported cases, and for a time, it seemed like the situation couldn’t be controlled and would continue to spread. But thanks to interventions by doctors, local authorities and the WHO, cases in 2015 fell sharply. Liberia has already been declared free of the disease after 42 days without a new case, while Sierra Leone had its last one on 28 September and Guinea’s last case was on 27 September – this means that we have over one week without a new case, which is, of course, quite a positive development. However, the WHO warns that the disease could pop up again at any time, especially as the whereabouts of several “high-risk” people linked to recent patients in Guinea and Sierra Leone are not known.